Interest in two major protests opposed to Saturday’s right-wing “free speech” assembly in a Boston park has grown exponentially in the aftermath of the deadly white nationalist rally in Virginia last weekend. The so-called “Boston Free Speech Rally” — organized by a coalition of groups calling themselves "libertarian" and "conservative" — has been on the books since late July and the counter-protests were organized not long thereafter by ANSWER Coalition Boston and the local chapter of Black Lives Matter (BLM). 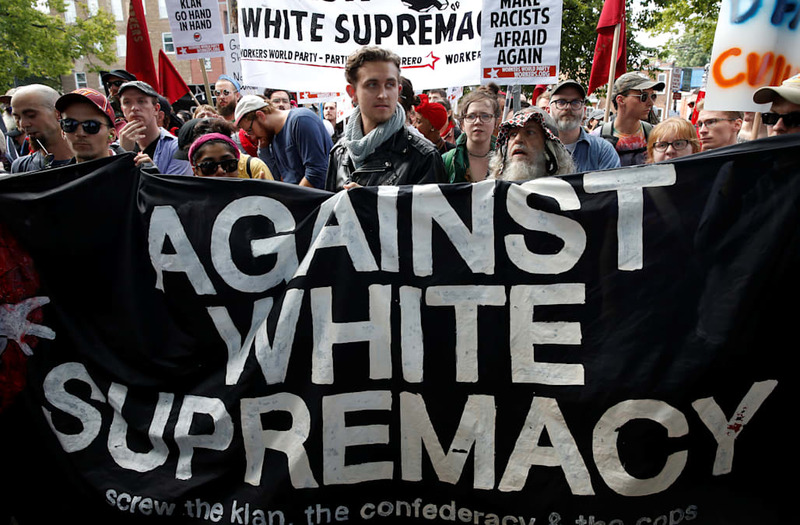 But since a group of neo-Nazis, white supremacists and Ku Klux Klan members took to the streets in Charlottesville, Virginia — ostensibly to protest of the removal of a Confederate statue — the two Boston counter-protest groups’ attendance expectations propagated substantially. A BLM-organized demonstration called “Fight Supremacy” experienced the same growth, raising more than $20,000 by Thursday night and suddenly expecting more than 10,000 attendees. The BLM group noted in a statement that Charlottesville served as a “glaring” reminder, but noted they planned to address more nuanced forms of intolerance and bigotry. ANSWER Coalition also emphasized that their protest would not be a one-note demonstration and would also address institutionalized and government-based elements of white supremacy and intolerance. With the sudden influx in interest, the protest groups warned those planning to join them on Saturday that there is a risk of injury, but said they would bring "marshals," safety teams and legal observers to ensure attendees' welfare. Black Lives Matter and ANSWER Coalition made it clear that they do not condone violence, but Antifa, the coalition of more militant left-wingers, are also expected to make an unpermitted appearance. While Antifa has often been present at counter-protests across the country, they are a decentralized group and have made no statements about their presence. “Though we don’t agree with Antifa’s tactics and strategy and adventurism, we respect their willingness to put their bodies on the line to fight fascists,” Brown explained. The organizers also resent the label of “alt-left” placed on them by President Trump. He said racist and oppressive ideas are being buoyed by the Trump administration, which means organizing is ever more important. ANSWER Coalition, which also brought out thousands of protesters to Donald Trump’s inauguration in January, are working alongside the Coalition to Organize and Mobilize Boston Against Trump as well as a number of local activist and socialist organizations to hold “Stand for Solidarity” at 11 a.m. outside the Boston State House. Black Lives Matter’s protest begins at Reggie Lewis Track and Athletic Center in downtown Boston at 10 a.m. ET, and the organizers plan to march the two miles to Boston Common, where the so-called “Free Speech” rally will take place. ANSWER Coalition will merge its protest later in the day. The city’s Parks Department provided the “Boston Free Speech” rally with a permit after a meeting between organizers and police on Wednesday. Officials plan to place dump trucks at intersections around Boston Common to block vehicles and plan on searching bags. No large bags, sticks or weapons are allowed. "I didn't want them to get a permit, quite honestly," Mayor Marty Walsh said, according to NBC Boston, "but we also believe in free speech." The permit allows for 100 people to attend. Neither ANSWER Coalition Boston nor Black Lives Matter have acquired permits for the counter-protests. Walsh later told WGBH Greater Boston that he’s confident there will be no violent repeats of Charlottesville, stating that he believed Saturday’s group is not the same as those who appeared in Virginia. This is the second rally planned by the Boston Free Speech Coalition. In May, the event was made up of self-described libertarians and Trump supporters as well as Oathkeepers and American Patriot Three Percenters — the latter two groups attended the “Unite the Right Rally” in Charlottesville. John Medlar, one of the organizers, has told multiple media organizations that the rally is not intended for white supremacists, neo-Nazis or members of the Ku Klux Klan and has made it clear that the “Boston Free Speech Rally” is not for those who attended the protests in Charlottesville. He also claimed the event was for liberals and posted an email he wrote on Facebook that seems to indicate he invited Black Lives Matter’s Boston chapter to send a speaker. NBC News was not able to confirm the authenticity of the invitation. “We are seeing this kind of rebranding of what white supremacy is since Charlottesville, but we are not buying this at all,” said ANSWER Coalition Boston organizer Kim Barzola. A number of scheduled speakers who were supposed to attend — right-wing firebrands Gavin McInnes and Tim Gionet (also known as Baked Alaska) — decided to avoid the rally altogether in light of Charlottesville. Both have shared fears of being labeled white supremacists via social media and claimed to disavow violence. Current speakers include congressional candidates Shiva Ayyadurai and Samson Racioppi as well as former InfoWars writer Joe Biggs. Kyle Chapman, a California activist who gained notoriety for bashing an Antifa protester with a stick and earned the nickname “Based Stick Man,” will also speak. Chapman founded the Fraternal Order of Alt Knights, which is to be the “tactical defensive arm” of McInnes’ mens-rights organization, the Proud Boys. Nevertheless, Medlar maintains the rally’s aims are nonviolent and will promote free speech of all — except hate groups.